One of the most important considerations when reviewing a potential tenant’s application is their credit history. Learning how to run a credit check on a tenant helps to glean insight into past financial behavior, which is a good indicator of their ability and willingness to pay their debts on time. Before getting comfy with your new tenants and officially signing your next lease with them, be sure to read up on how to run a credit check on a tenant; otherwise you may risk winding up with a new tenant who can’t afford or won’t actually pay rent. As always, you must abide by federal and state regulations in your dealings with applicants and tenants. It is your responsibility as a landlord to familiarize yourself with the federal Fair Credit Reporting Act and Fair Housing Act, as well as your state’s consumer reporting and fair housing laws. There are a few different ways an independent landlord can learn an applicant’s credit history. The option that works best for you largely depends on how often you screen. Let’s take a look at 3 ways you can learn how to run a tenant credit check. 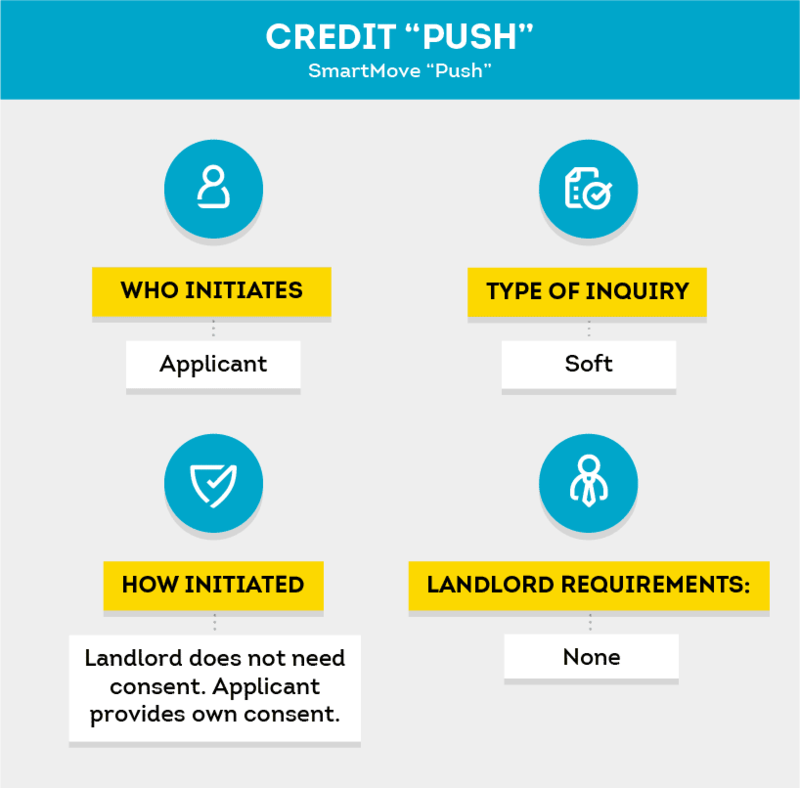 The easiest way for many landlords to run a credit check is through an online tenant screening service, such as SmartMove, that uses a credit “push” instead of a credit “pull”. Before checking your tenant’s credit, you’ll want to know exactly what is meant by a credit “push.” With a credit push, the renter authorizes access to their own credit report and then “pushes” it to the landlord. In the case of SmartMove, this results in a soft inquiry on the applicant’s credit report which doesn’t impact the calculation of certain credit scores such as ResidentScore. SmartMove is a great option for smaller landlords since it does not require that the landlord agree to an on-site inspection. In addition, the tenant can submit his or her personal identifying information directly to SmartMove, so the landlord does not have to collect it him or herself. 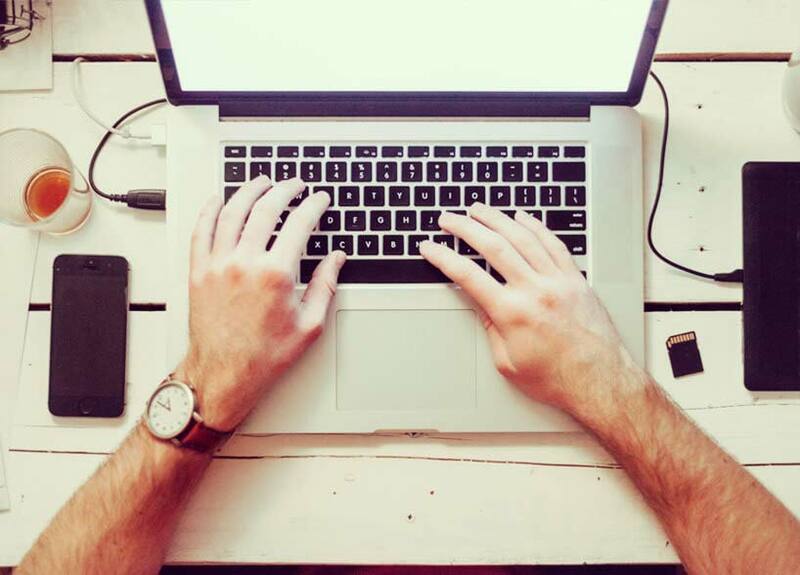 All you need to start running a credit check is the renter’s email address and the results are received within minutes of the tenant authorizing access to the report. The landlord sets up a free account. Enter the applicant’s email address into the system. The applicant receives an email inviting them to create an account with SmartMove and provide information to verify his or her identity. Once the applicant successfully verifies his or her identity, the reports are emailed directly to the landlord. If you have a large number of rentals and are frequently checking credit reports, you might want to know how to run a credit check by accessing tenant credit reports directly from a credit bureau. Often, credit bureaus will require a credentialing process that can include a site inspection, verification of your identity, investigation of the nature of your business, and your practices for receiving and storing sensitive information—making this a more difficult credit check method for independent landlords with fewer tenants. The site inspection process can be laborious and takes a good deal of time to complete without any guarantee that you’ll be approved. In some cases you may have to pay a fee for the inspection. Additionally, if you are pulling a credit report from a bureau you may still need to pull criminal and eviction reports separately. Tenants who are applying at multiple rentals may request to pull their own credit report from a site such as AnnualCreditReport.com and provide the landlord with a copy. Some landlords prefer this method to check a tenant’s credit because it requires the least amount of work for them. However, it has the potential to be the least accurate method. First of all, since tenants can only obtain one free copy of their credit report from each credit bureau annually, the information may be outdated. Secondly, when you trust an applicant to provide their own credit report, an applicant could potentially digitally alter their credit report through image-altering software or otherwise manipulate the information before presenting it to the landlord. 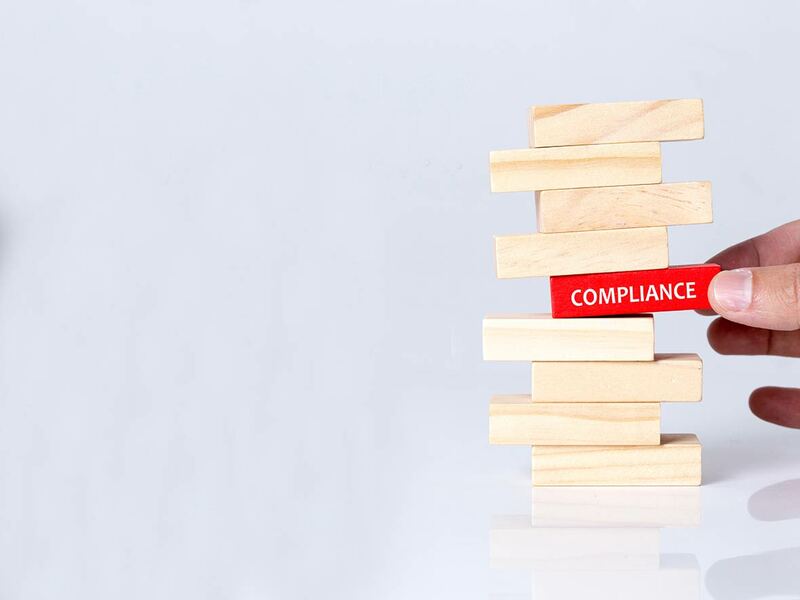 The most accurate option is obtain the report directly from a credit bureau or tenant screening service that is subject to the FCRA’s reasonable accuracy requirement. For independent landlords who do a few screenings a year, your best option to run a credit check is by using a tenant screening service such as SmartMove that will push the applicant’s credit report to you. This option allows you to start screening quickly and often without an on-site inspection. It is pay-per-use so you only pay when you need it. Landlords who screen frequently may find that getting credentialed to pull credit is a more convenient option for them. This method may allow them to receive credit reports more quickly since they can pull the report directly from the bureau without having the applicant login to verify his or her identity. No matter which option you choose, it is essential to check a prospective tenant’s credit history prior to renting to them. A full tenant screening should also include an eviction report and a criminal background check. This will give you a more complete view of your prospective tenant, allowing you to find the best possible fit for your property. SmartMove’s online tenant screening, including a ResidentScore, Income Insight report, and leasing recommendations can help you make more informed decisions about applicants in minutes. However you choose to carry out a tenant credit check, there are a few general rules and guidelines you’ll want to follow. Ensure compliance. If you’re learning how to get a credit report on a prospective tenant either by yourself, a third-party screening service, or by requesting an applicant to provide their own report, be sure to follow all legal procedures. Referring to a site such as Background Bureau to understand your obligations with respect to federal fair housing laws and regulations is a great practice to obtain. Be thorough. If you decide to run a tenant credit check using a third-party service, make sure the company is reputable. Do your research and be sure to cover all your bases. Whichever method you use to conduct a credit check on your prospective tenant, it’s not a bad idea to move forward with a landlord reference check. Keep in mind that a favorable credit report might not necessarily indicate an ideal, trustworthy tenant—a credit report alone won’t enlighten you to any potential criminal history, income insights, or eviction records. My SmartMove is a landlord’s one-stop shop for screening potential tenants criminal, eviction, and credit history, as the delivered reports provide a wealth of information, which is available to you in a matter of minutes. Stop wondering what you don’t know about your tenant with comprehensive credit and criminal background reports, eviction history report, and an Income Insights report. Choose the tenant screening package that suits your needs and find better peace of mind over your next lease agreement.